John Pillsbury, like many Easterners, came to the tiny village of St. Anthony to make his fortune. Unlike most others, he succeeded, accumulating a fortune and founding an American milling dynasty. Originally a hardware merchant on Main Street, Pillsbury quickly established himself in two industries: sawmilling and flour milling. 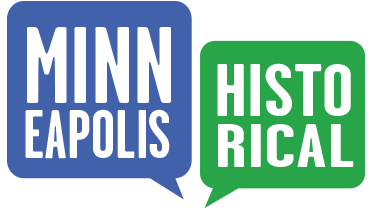 He also established himself as a political leader, first serving as Minneapolis alderman and later as a three-term governor of Minnesota. Finally, he became known as the “Father of the University,” serving for 38 years as a University of Minnesota regent, even though he himself never acquired much formal education. When Pillsbury died in 1901, his estate was estimated to be worth $5 million (close to $200 million today). Although he left no will, his heirs carried out his plans and built a library on the east side of the Mississippi River. 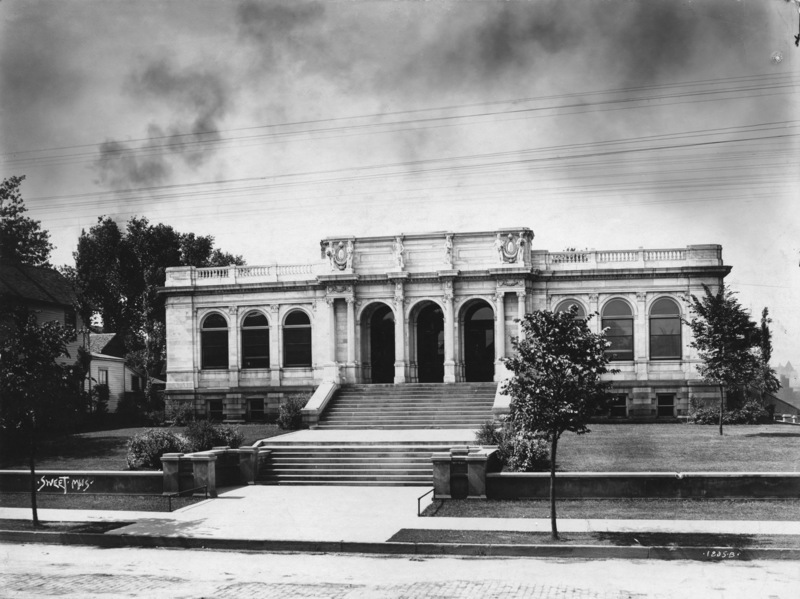 Named in his honor, the Pillsbury Branch Library was designed by architect Charles Aldrich and opened in 1904. 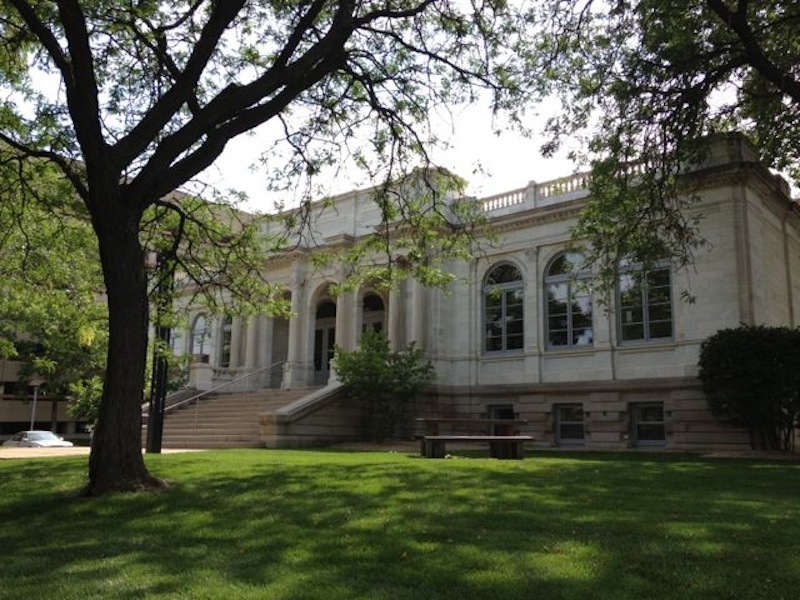 It features the neoclassical Beaux Arts-style popularized by the 1893 Columbian Exposition World’s Fair in Chicago. 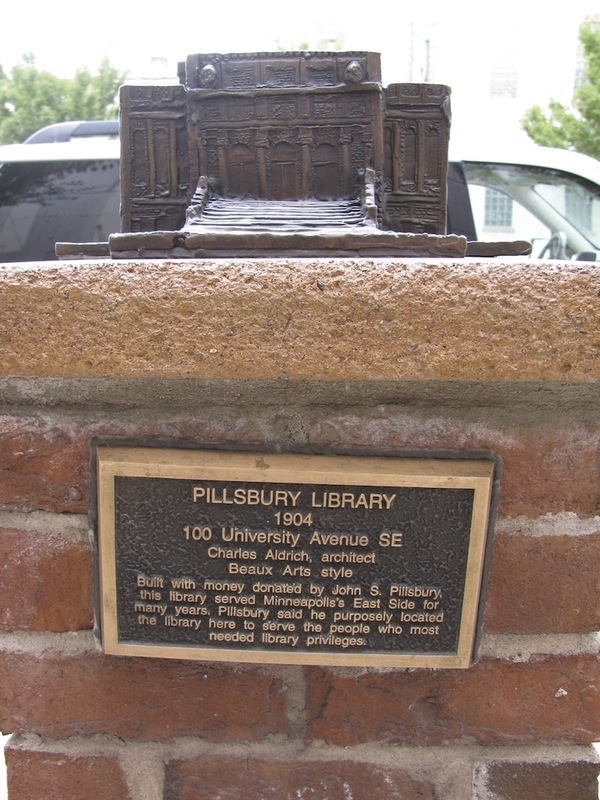 Marcy-Holmes Neighborhood Association, “Pillsbury Library (1904),” Minneapolis Historical, accessed April 22, 2019, http://minneapolishistorical.org/items/show/77.